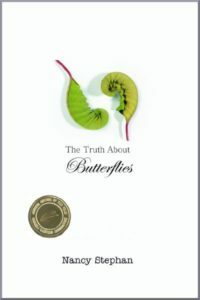 In June 2012, Nancy won a GAYA (Georgia Author of the Year Award) for her memoir, The Truth About Butterflies. They belong to each other, Nancy and Nicole-mother and daughter. They’re two halves of a whole, two facets of the same breath-until the day Nicole exhales. . . and never inhales again. After the death of her daughter, and quickly losing her own battle with grief, Nancy moves from the house she can no longer bear to live in. While packing, she finds a box in the attic. Inside she uncovers treasures she didn’t know existed and evidence that her and Nicoles’s lives had been more divinely entwined than she could’ve imagined. The Truth About Butterflies is a memoir of grief, hope, and transformation, and a single enduring truth: Life cannot be restrained by death. Meet the people in Nancy’s story.